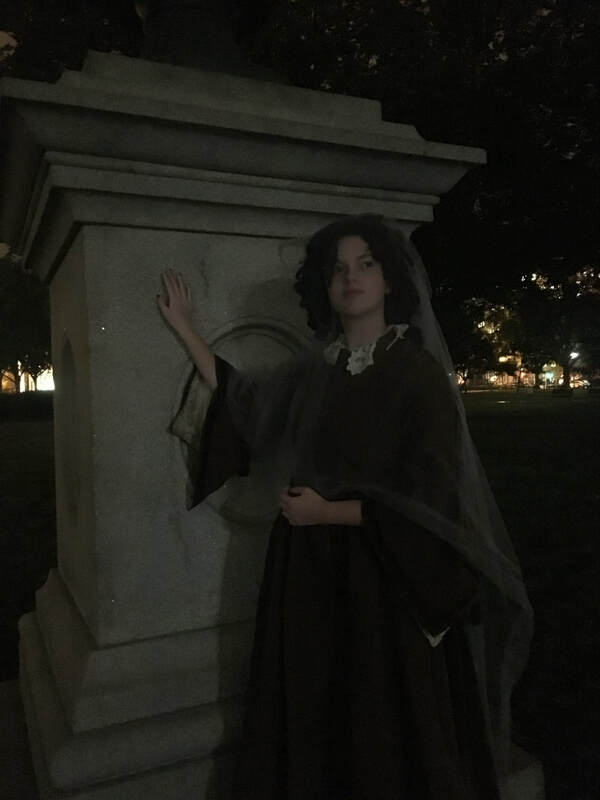 Bringing History to Life with Character-led Walking Tours, Historic Characters, Private Tours, Group Tours, Ghost Story Tours and School Tours and much more! Follow us on Twitter for Tour updates! 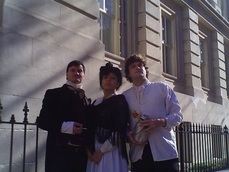 Tours, events, characters, Ghost Story Tour and so much more! 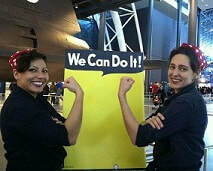 Meg Lowey and Vanessa Bisbee at Udvar Hazy as "Rosie the Riveter" on March 9th! 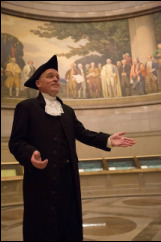 Historic Strolls Actor Interpreters appear at Smithsonian again! Just seven months until Ghost Story Tour returns! Book a private ghost tour year round. Contact us for available dates. We helped St Johns Community Services celebrate 150 years of giving at their Winter Anniversary Party! Do you need historic characters for your event? Meg Lowey as "Rosie the Riveter"
Laura Rocklyn as "Rosie the Riveter"
Desiree and Vanessa as "Rosie the Riveter" at NASM Udvar Hazy on March 10th. 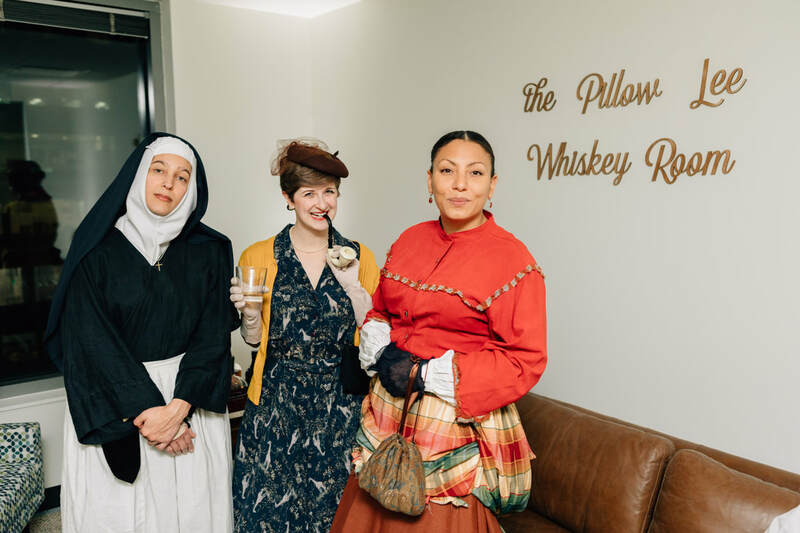 Rebecca Monteleone and Laura Rocklyn portray "Nellie Granger" (an early Stewardess) and "Ellen Church" (the first Stewardess), at National Air and Space Museum "Milestones in Aviation" Day. These "Rosies" are sleeve-rolled and ready to tell you about Women in Defense Plants during WW2! "Ruth Law: Pioneer Aviator" appeared at NASM Udvar Hazy this Spring. Becca Monteleone as "Nellie Granger:Heroic Stewardess"
What is happening in DC this weekend? Check Washington Post Going Out Guide site for updates. The National Museum of African American History and Culture this month? We are proud to be a woman-owned, small business! Thank you for enjoying our tours and telling your friends. We appreciate our tour guests! All of our tours are Metro accessible. Find out what's happening on the ﻿Metro ﻿before you head out to see us! I just wanted to let you know how much I enjoyed the Civil War walking tour... It was like watching a play with the added benefit of being able to interact with the performers… It was not just entertaining, it was educational as well. The acting was great--thoroughly enjoyable! Thanks. I greatly enjoyed your group's performance. We had such a good time and simply could not help ourselves interacting. I was very impressed with the amount of educational information you were able to amass and present in an entirely entertaining venue… (The time) went by very quickly and left me wanting more. You and your tales of DC were a hit with myself and family. "Thank you." As we ventured through the city for several days after… my family would bring up factors they remembered from our tour with you.